Grosset & Dunlap, 9780448456881, 40pp. New York Times bestselling author and world-renowned celebrity Fran Drescher (star of The Nanny) has written her first children's book! 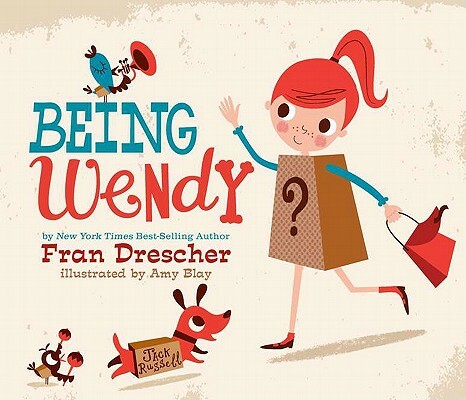 In this delightful picture book, we meet Wendy, a girl who lives in an odd town where everyone has to wear a box. These boxes are labeled with what each person does. The teacher wears a TEACHER box. The baker wears a BAKER box. Even the doctor wears a DOCTOR box! These boxes are worn for life and Wendy has to choose hers soon. How will she ever decide on just one box? She's interested in so many things! Wendy's moxie makes her break out of her box . . . And she sets the whole town on end when she does! Fran Drescher received two Emmy and two Golden Globe nominations for her portrayal as "Miss Fine" on the TV show "The Nanny," which she also created, wrote, directed, and produced. Her first book, "Enter Whining," was a "New York Times" bestseller, and she won the National Coalition for Cancer Survivorship (NCCS) Writers Award for her second book, "Cancer Schmancer," which was also a "New York Times" bestseller. Fran is now a 10-year survivor of uterine cancer, and was appointed by the U.S. State Department to serve as a Public Diplomacy Envoy for women's health. She lives in New York, New York. Amy Blay lives in the United Kingdom.